The evolution of milk paint from an arcane means of painting to being the buzzword in woodworking circles, is nothing short of amazing. Every woodworking aficionado these days yearns for a coat of casein on their pet projects. But is it really as good as it is touted to be? Can it hide the many sins that an old piece of wood often acquires over time? We figured that this was a great time to talk about one of the most popular brands in the business, and their flagship offering, the General Finishes Milk Paint. To that end, we picked up an old, beaten end table at a thrift store ($10) and ta-da, we have our general finishes milk paint review for you. For the uninitiated, Milk Paint is a natural (and healthier?) alternative to the toxic petrochemical-laden paints that are commonly used. It is typically made of Casein or other milk-based proteins, lime and clay with natural dyes or extracts used for the color. One of the advantages of using Milk Paint, other than not inhaling VOCs, is that you can use it on just about any surface without priming or sanding it. Also, with some practice and skill, you can achieve some pretty amazing old-world finishes with it. 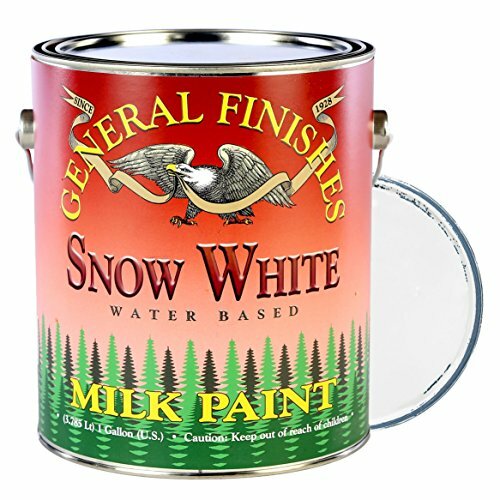 While, milk paint is normally available in powdered form to be mixed with water, General Finishes offers an upgraded mineral-based premixed version that saves you time and effort. You can pick from as many as 26 colors and also glaze it to achieve a lustrous or marbled look for your furniture. Is General Finishes Milk Paint Good for Furniture? It is easy to apply, dries in the blink of an eye, you can layer it, ages beautifully and can last for years with a top coat (optional) of a natural resistant, like hemp oil. Most importantly, no fumes! It is child safe and you can pour any leftover paint down the kitchen sink. Having said that, it does have its limitations, especially if you are used to more modern, mass-produced furniture finishes. Pinterest is a great place to check out some DIY milk paint projects by bloggers and wood working ninjas. It should help you get an idea of what to expect and set realistic goals for your project. Milk and Chalk paints are often mistaken to be the same thing. They are not even close, although they do share a lot of common characteristics. But if you were to differentiate among the two, then it boils down to the kind of look that you can achieve with them. How does General Finishes Milk Paint fare when pitted against the famous Annie Sloan Chalk Paint? Annie Sloan Chalk Paint has a sandy, chalky finish due to the calcium in the paint. 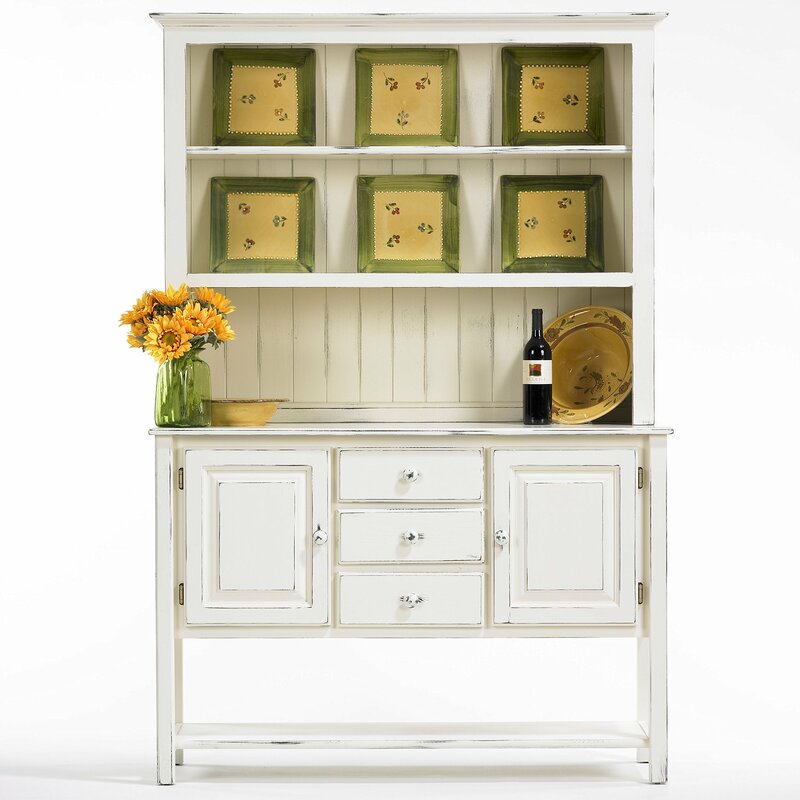 You can achieve a variety of low-luster finishes with it including the distressed look and the old lime wash finish. However, Annie Sloan’s website mentions that their paint contains ‘minimal volatile organic compounds (VOCs) at 0.02g/l VOC’. Also, you will multiple coats of chalk paint to achieve complete coverage. General Finishes Milk Paint on the other hand, is completely safe and does not contain any VOC. A little paint gives you a lot of coverage sans any brush marks. Totally cool! The manufacturer recommends that a foam brush is the best way to apply the paint. It gives you a very smooth finish devoid of any brush marks. But the sky is the limit to what you can do with milk paint. You can use a conventional brush to create deliberate brush strokes, use a thinner water-washed version of the paint, make a thicker version of the paint for deeper pigmentation or use a sprayer to apply the paint (strain it a few times first). Some bloggers have even used fabric to create an amazing distressed pattern. You might discover that milk paint is a tad unpredictable. But that’s precisely what adds to the charm of using it. It bonds with wood in ways that you’d never expect it to, creating a very unique finish. We started off by watering this oak end table and viola, there was a little bit of stain residue that demanded light sanding. We used a fine grit sanding sponge. Nothing too deep. Just some light sanding to remove the stain. Next, we applied the General Finishes GSG Milk Paint in Seagull Gray. It is a very light, warm gray that perfectly complements the bed and the wardrobe in the room. We applied the first coat and were very impressed with how smoothly it glides over the wood. We used a foam roller mind you. The foam brush was only used on the edges. The coverage was decent. But we found it a little light for our liking and let it dry for a while. In less than an hour, the first coat had dried completely. And we went for two more coats for a slightly dark and smooth finish. We wanted to layer the paint. So, we ordered the Persian Blue from General Finishes and went at it with two top coats. The result was stunning to say the least. Lastly, we sealed it with a layer of hemp oil. The slightly chalky milk paint finish has disappeared completely and it has a wonderful shiny finish. It may take multiple coats to achieve a consistent finish. 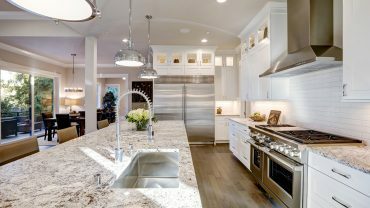 Since it does cost more than synthetic paints, you might want to budget your project, especially if it involves painting multiple pieces of furniture. Despite what most people say, the furniture does need a top coat of a sealant. You can use Poly, but help oil works equally well. We couldn’t be more satisfied with the General Finishes milk paint. It really gave the end table a new lease of life. And we can’t wait to experiment more with layering, distressing and using glazes on some of our kitchen cabinets. What are your thoughts on milk paint? Have you use it before? Do write in to us.